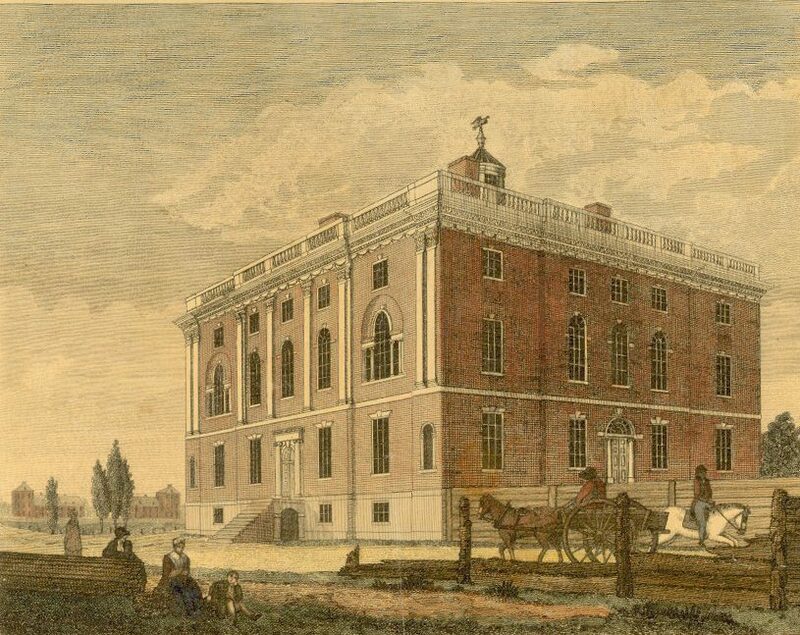 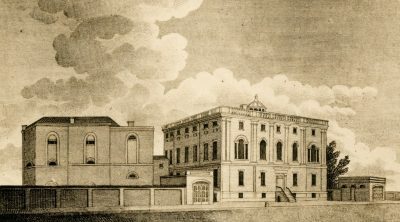 The University occupied the “President’s House” at Ninth and Market Streets, Philadelphia, from 1801 until 1829. The President’s House was built 1790 as the intended residence for the U.S. President, renovated as the University of Pennsylvania, and finally demolished in 1829 in preparation for the erection of two new University buildings on the same site. 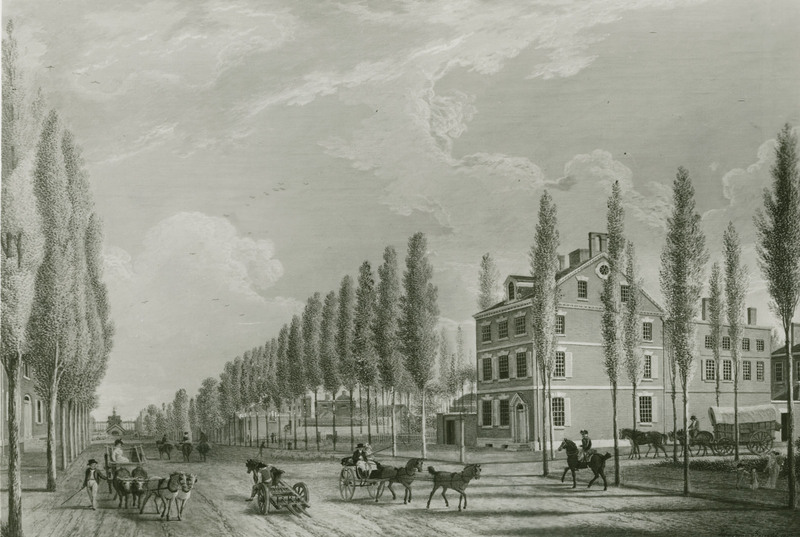 View east from 10th and Market Streets, with Dunlap House on south side of Market (at right) and rear of Ninth Street Campus under trees at center, 1807. 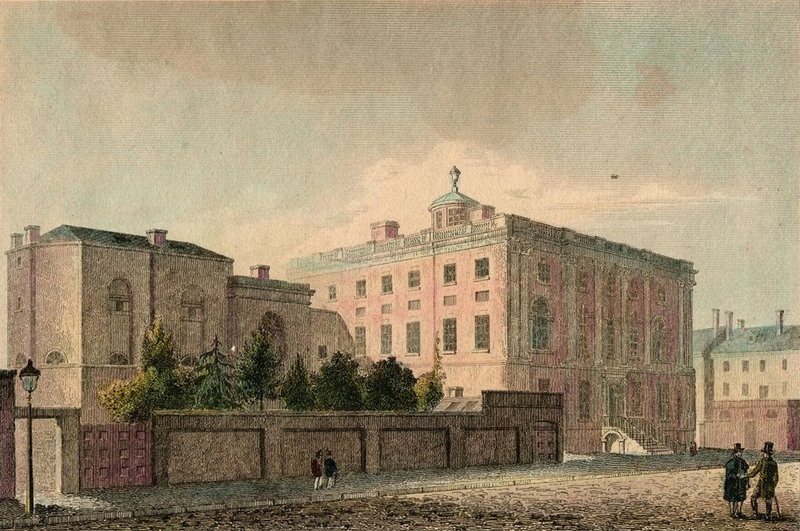 “President’s House,” viewed from the southeast, with 1806-1807 Medical Department wing (at left of view). Engraved by Kneass, Young and Company. 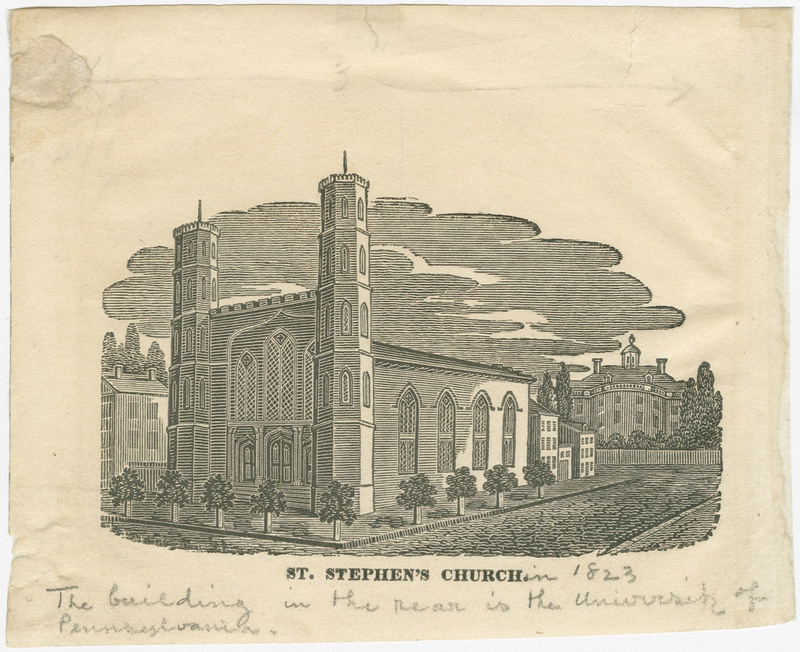 St. Stephen’s Church, Tenth Street., showing the rear of the “President’s House.” The small residences at rear of church may have been used as anatomical laboratories.